Clicking on a photo will open a larger version in a new window. All photos courtesy of Cherrie Corey. 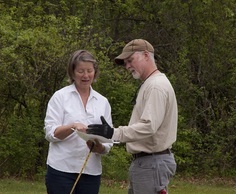 Design team members discussing construction layout on-site. 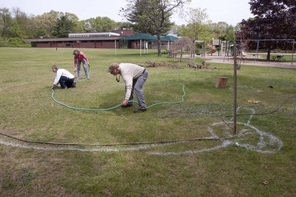 Laying out the Gathering Circle.